Hokay. I'm back. Let's see if I can get more than a few photos in this go-round, eh? I need to play a little catch up, starting with September 1st. I can do that. Decided to kick it off with an old school piece .... and its companion for the next. Here we go again ... thank you for your patience. 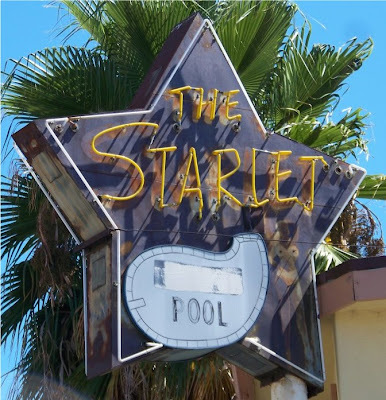 "You're a shining star ... that's who you are ..."
Motels used to have the cutest names, and signs! I love this! Awright!! Welcome back, Rupe. Missed you. just keep at it. i think there is value in daily photography, even if you keep 'failing' just keep starting again!